Russia PMI data for Services, Manufacturing and Composite posted sub-50 performance across all three indicators in August, returning the economy back to where it was around June 2015, and erasing the fragile expectations of stabilisation that were based on July data. Russia Manufacturing PMI fell to 47.9 from 48.3 in July, marking 9th consecutive month of sub-50 readings and worst performance in the sector since May 2015. 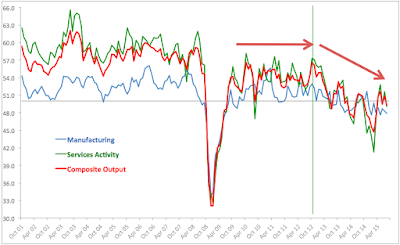 August move effectively demolished previous expectations of stabilisation in Manufacturing sector in Russia. Per Markit release: "Operating conditions in the Russian manufacturing sector continued to deteriorate during August amid reports of a deterioration in the economic environment. Output was little changed, while new orders and employment both fell to the greatest degrees since May. Notably, a depreciation in the Russian rouble against the US dollar led to a sharp and accelerated increase in average input prices by raising the cost of imported goods. …The net effect was a decline in demand and a drop off in levels of incoming new business." Meanwhile, Services PMI posted a disappointing decline from 51.6 in July to 49.1 in August, pushing the index below 50 mark once again. The index fell to its lowest level for the period covering last 5 months. Per Markit: "The Russian service sector registered a slight fall in business activity during August as incoming new orders were barely changed and excess resources remained evident. 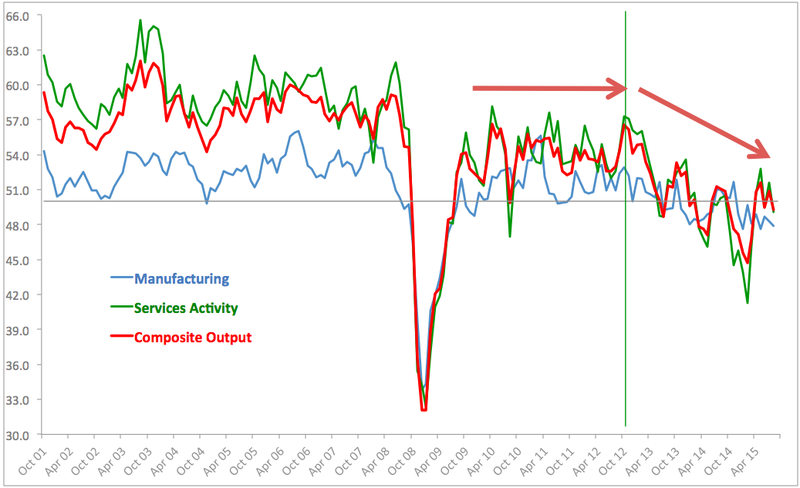 Backlogs of work were again cut sharply, placing further downward pressure on staffing levels… Undermining service sector activity was a general lack of growth in incoming new business. Latest data showed that new work was only marginally higher, with companies bemoaning a lack of funds at clients amid evidence of a challenging economic environment. With booth Manufacturing and Services down, Composite PMI for Russia fell below 50.0 marker in August, reaching 49.3 against 50.9 in August. This marks the second month in the last 3 months of sub-50 readings and August Composite PMI level is at the lowest levels since April 2015. SUMMARY: As I noted consistently in the past, any sign of stabilisation in Russian economy coming on foot of disappointing 1H 2015 will require several confirmations before we can call a switch in the growth trend. This confirmation (on foot of July upside performance) did not arrive to-date. 22/9/15: Why Reform Irish Cider Excise System?